If you need just a few discs or up to hundreds we can manufacture these on site with rapid response. 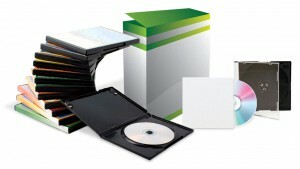 We offer both black/white as well as full colour printed discs. Turn times for replicated discs are usually 10-12 working days (plus shipping if outside of Edmonton, Alberta) after your artwork, and replication rights paperwork has been approved. You’ll need to have licensing in place if your using other peoples music or content. Please contact us to find out more information and get a pricing quote. We can usually complete your short run in 2 to 4 working days. If you have a deadline, let us know, and we’ll do our best to ensure you can get on with your other business. Please use the form to the left to find out more information or get a pricing quote. Even if you need just a few demo copies of your music, you’ll want to make a great first impression. We offer solutions that help you stay on budget and prepare for larger orders in the future. Please contact us to find out more information and get a pricing quote. 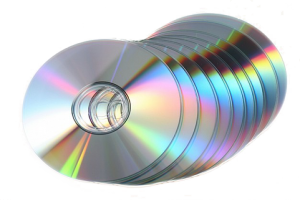 DVD Authoring is the process of creating a DVD video capable of playing on a DVD player. If you need this service please let us know in your quote request. Email us with your request and we’ll send you a quote!